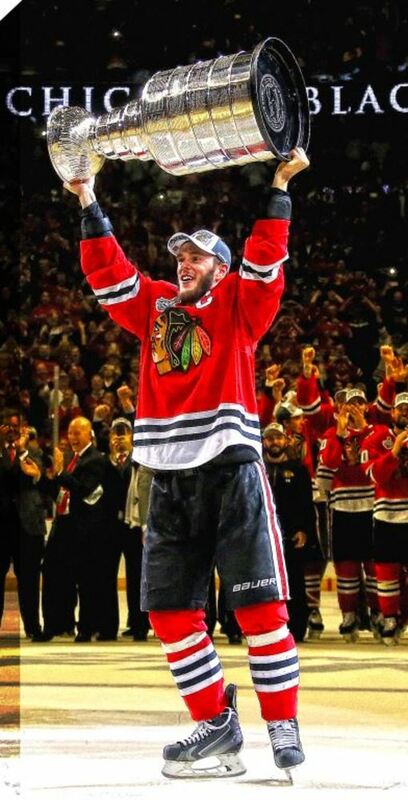 This unique art print features Jonathan Toews, the captain of the Chicago Blackhawks, raising the 2015 Stanley Cup. The image has been printed on a canvas and is stretched and stapled on the back to a 3/4" deep wooden frame. Perfect for any home or office and a unique addition to any hockey collection. FINISHED SIZE 14" x 28"